"Crazy Rich Asians" continues to inspire and amaze, as the game-changing film was nominated for two Golden Globes Thursday morning. Constance Wu earned a nod for best actress, as did the film itself for best comedy or musical movie. 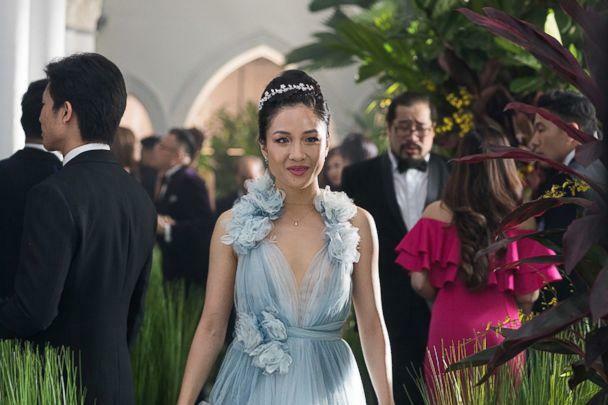 If you've yet to jump on the "Crazy Rich Asians" train, what are you waiting for? Before you see the blockbuster film, "GMA" has you covered and here are five amazing things to know about it. After the announcements were made, Wu tweeted she was "ecstatic but also in shock!" and director Jon M. Chu added, "Not in my wildest dreams did I ever think our movie would be embraced to this magnitude by the audience and now the HFPA [Hollywood Foreign Press Association]." "What an honor to be included on such a beautiful list of diverse human experience stories amongst storytellers I have looked up to my entire life. I could not be more proud of our movie, our cast, our community and our industry. In response to Eleanor Young, we were always good enough," Chu said. The film is not only critically acclaimed, but won over the masses, as it's earned almost $240 million worldwide at the box offices. 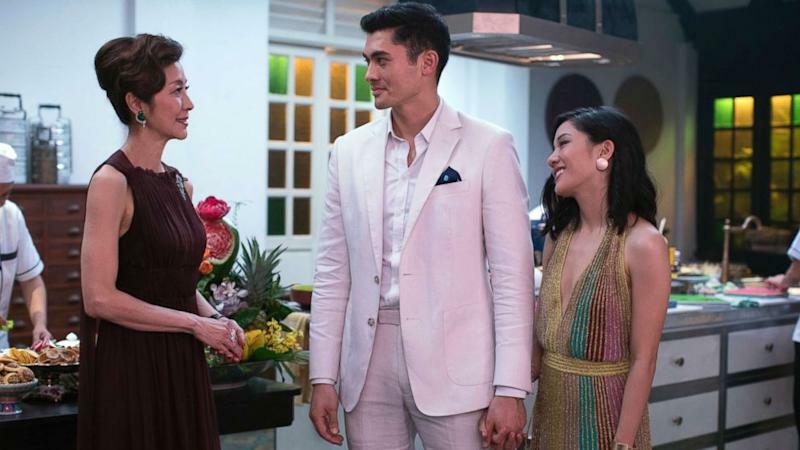 "Crazy Rich Asians" stars Wu as Rachel Chu, a New Yorker who travels to Singapore with her boyfriend, Nick Young, played by Henry Golding, only to discover that his family is one of the wealthiest in Asia. Directed by Chu, this is the first movie in 25 years to feature an all-Asian cast. Awkwafina, who plays Rachel's best friend in the movie, told "Good Morning America" this summer that for some audience members, seeing themselves represented on the big screen is an overwhelming experience. 3. Henry Golding made his acting debut in the movie. While Wu has a lengthy resume including a major role on the ABC series "Fresh Off the Boat," her co-star, Golding, is a Hollywood newbie. In an interview with Glamour magazine, the actor explained that his background is in broadcast television -- he worked as a travel host for BBC, Discovery and National Geographic -- and he owes his newfound acting career to an accountant who worked on "Crazy Rich Asians." "The filmmakers were literally at the eleventh hour trying to find an appropriate Nick Young, and the accounting lady said, 'I met this guy Henry Golding at an event about five years ago, and I thought he was the epitome of this character,'" he said. "[Director] Jon [M. Chu] fell down the Instagram hole and was like, 'I’ve got to get a hold of this dude.' We met on Skype, I sent some tapes, and they flew me to L.A. for a chemistry read. I was offered the role two and a half weeks later, which was life-changing." Shortly after "Crazy Rich Asians" came out, Golding stared in "A Simple Favor" opposite Blake Lively and has a slew of projects in the works for 2019. 4. It almost went straight to Netflix. The movie's dominance in theaters almost didn't happen. Chu told The Hollywood Reporter that although Warner Bros., the production company behind the film, outbid other traditional studios, Netflix also made an offer, complete with artistic freedom, a greenlighted trilogy and seven-figure minimum paychecks for each stakeholder. Although Chu and author Kevin Kwan considered going with the streaming service, ultimately they decided they wanted the project shown on the big screen. 5. Inclusivity is the future! Crazy Rich Asians” joins “Black Panther" and other films in 2018 that were headlines by a mostly minority cast. "Black Panther" also landed three nods Thursday morning, showing that these films can be both critically acclaimed and cash cows at the theater. Author of the book that inspired the movie, Kevin Kwan, told "GMA" at the premiere that Hollywood needs to start taking more risks like this film. Actress Taraji P. Henson went one step further and spoke about diversity to InStyle magazine, as she's set to star in and executive produce the upcoming film, "What Men Want." Hollywood has a long way to go, but it looks like these are the beginnings of a new era.